What's more, Maurice was heard to say that SHE was the better organist of the two. 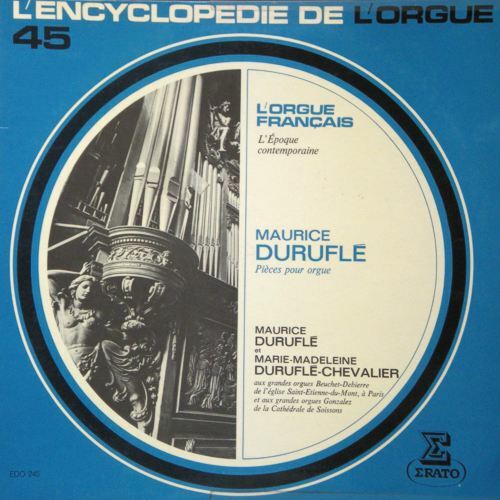 Maurice Duruflé's output consists of only a handful of works,the result of his perfectionism. Due to this his organ music holds a very high position in the repertoire. Presumably the most authentic version there can be, and perfectly performed. Not only authentic but precisely perfect as her husband wanted.